● 3EASY STEP HASSLE-FREE PROCESS. 1:Simply provide us your details to get a Quote. ●Last 4 digit and alphabet of your NRIC. ●Photos of your Car Interior & Exterior. 2:Accept the Price Quoted to You. ●We will Schedule a Appointment to Transact. ●We do all the required paperworks. 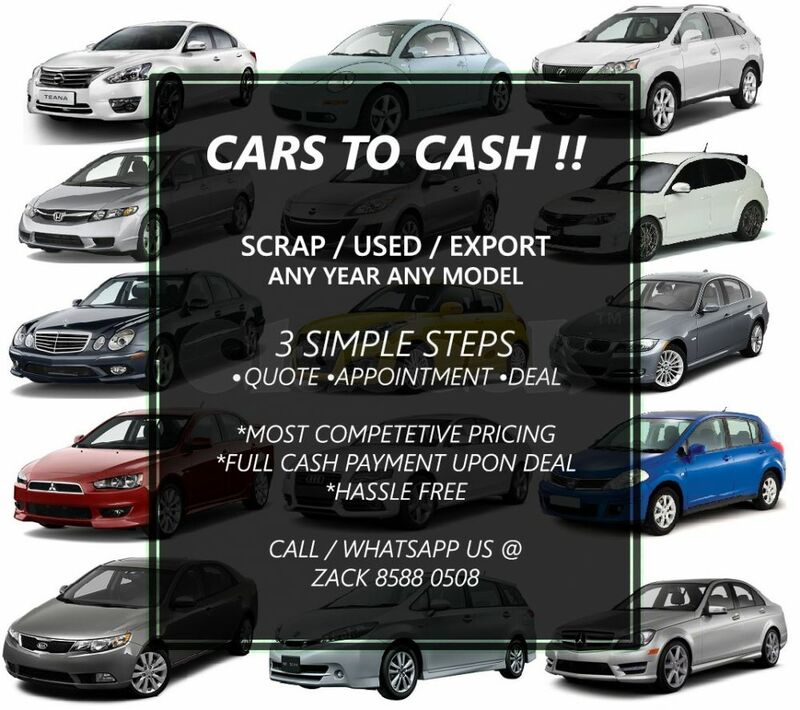 ●We Pay You the Cash and Collect the Vehicle.